St. Cecilia was not herself a Dominican, so why do we take her as our patroness? The answer to this question lies both in the past—in the foundation and charism of the Dominican Order and in particular of our Congregation in Nashville—and in the present. In the first days of the Dominican Order, before the first canonization of any Dominican saints, the friars and sisters looked to several of the Church’s earliest saints as patrons of the Order. These were chosen because they embodied the qualities that defined the followers of St. Dominic: study, portrayed by St. Catherine of Alexandria; preaching, modeled by St. Mary Magdalene; and praise, embodied by St. Cecilia. As patron saint of music, St. Cecilia was invoked and depicted in the choirs of most medieval churches, and the Dominicans begged her intercession for their chanting of the choral office (Liturgy of the Hours). St. Cecilia was a fitting intercessor for this new Order with its motto, “To praise, to bless, to preach.” St. Cecilia was also seen to accompany Our Lady in some of her apparitions to St. Dominic and the early brethren, most notably when Mary was seen blessing the friars’ cells. It should also be noted that tradition has often dated the foundation of the first Dominican convent (the nuns in Prouilhe, France) as being on November 22, the feast of St. Cecilia. 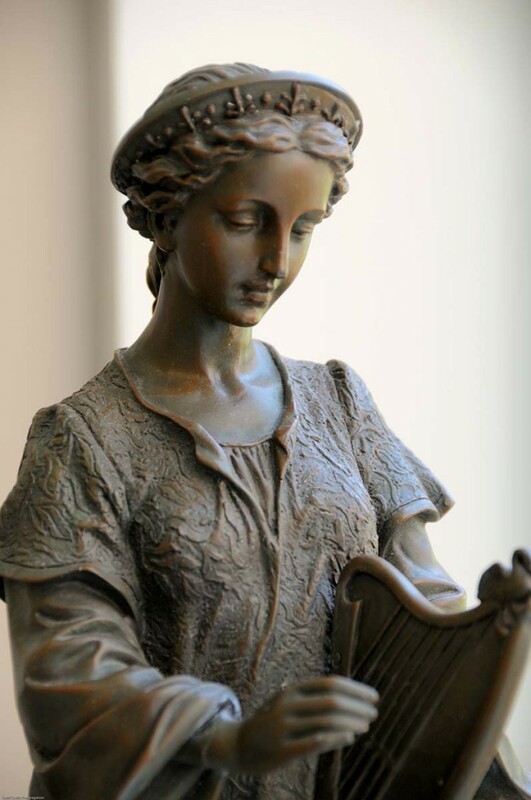 For our own Congregation, the choice of St. Cecilia was a natural one, as our sisters were invited to Nashville in 1860 to establish an academy for girls that would place an emphasis on music and the arts. “It was not without forethought that the young Academy was called St. Cecilia,” noted Mother Frances Walsh in her early history of the Congregation. How fitting that our Congregation, sitting on a hill above what is now known as “Music City,” declares by its very name the noble influence song can have on the human person. Today, as daughters of these rich traditions, we continue to claim St. Cecilia as a witness of purity and praise, an example of life lived in the world but not of the world, and of a fidelity to Christ that is not afraid even of death.